Orsi's Bronze Double bed with bed valance IX is crafted in figured sycamore and stained dark grey with a high gloss finish. 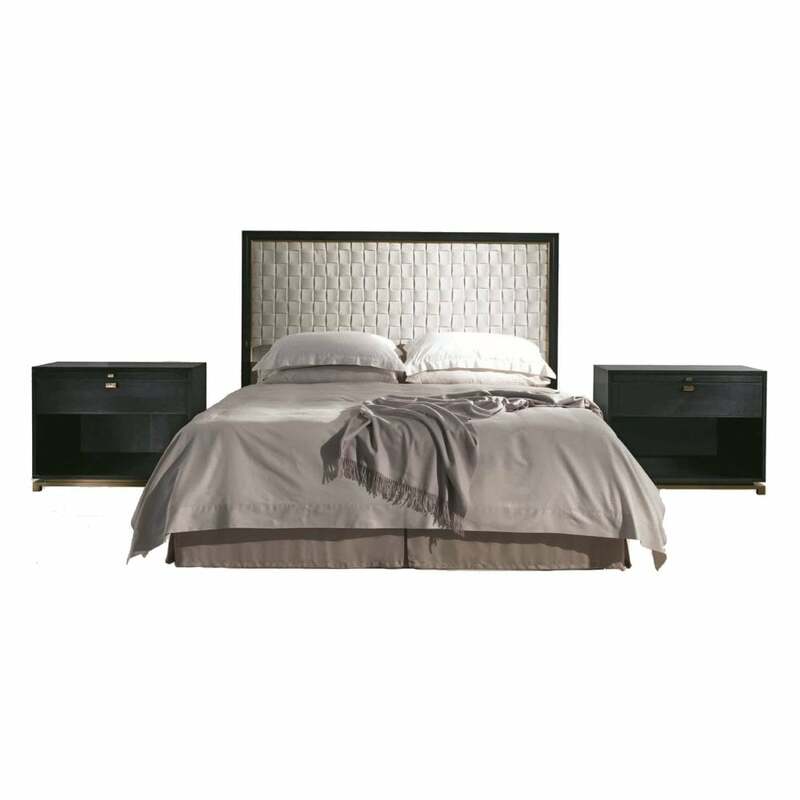 The Art Deco style bed features bronze trimming detail and a headboard upholstered in the woven cashmere/linen fabric from the Loro Piana 'Regent' range in the colour Zen. The elegant design works well with a monochromatic bedroom scheme with soft bedding in greys, mink, dusty pink and cornflower blue. Pair with Bronze Bedside table XI and introduce bolder colours with accessories such as glass table lamps and abstract artwork. Price of mattress excluded. Priced for Natural Black American Walnut in high gloss finish + bronze with headboard upholstered in woven cashmere from Loro Piana ‘Sherpas’ range, colour Shaded Cloud; bed valance in a cashmere/linen fabric from Loro Piana ‘Regent’ range, colour Zen. Mattress dimensions cm. 180*200. Price of mattress excluded.